Fairy tales are pretty much bigger than ever, and our love affair with Disney films shows no sign of fading any time soon! This year we saw the release of Disney’s real action Beauty and the Beast and it helped us to fall in love all over again with fairy tale romance. Designers took note and now there are loads of gorgeous fairy tale inspired beauty products to choose from! We are big fans of our beauty products of course so it’s hardly surprising that we particularly love anything with a really cute theme, and we’re complete suckers for gorgeous packaging. Here are just a few of our favourite fairy tale beauty products. Budget brand Primark has totally got our back when it comes to hitting the latest trends on the head and at a great price so it is no wonder that they came up with this supremely popular Beauty and the Beast make up line. Featuring make up bags, lip glosses, lipsticks, mirrors, scented sprays and more there was practically a frenzy when it was released with the line being snapped up by die-hard Disney fans. And to be honest, we’re not surprised – it’s so adorable! 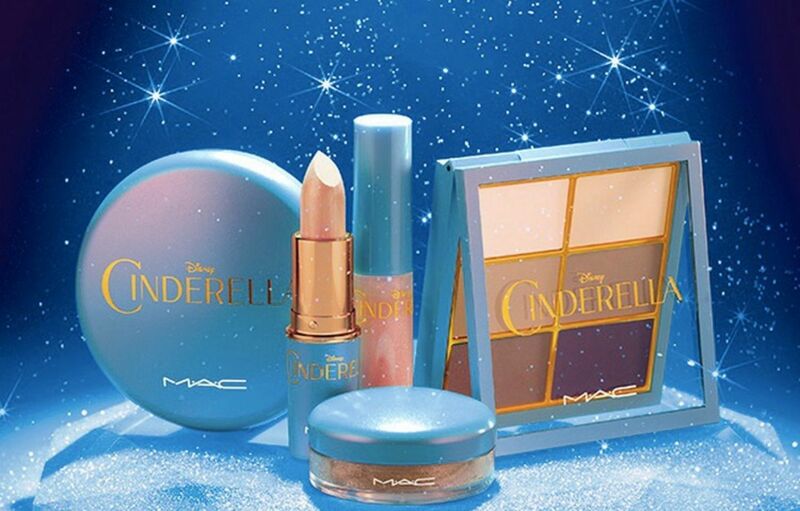 It’s not just budget beauty brands that are getting in on this fairy tale action as proved by the MAC Cinderella collection which was released in 2015 to coincide with the release of the Disney film. Covering a huge range of products from eye shadow to blush, and lippies amongst others, if you’re willing to pay big bucks you can still get it online on bidding sites like eBay, but beware, the demand for it is still huge! This glamorous make-up brush set has been around for a few years now and is perfect for beauty fans who also love The Little Mermaid. Costing £60, it’s been at the top of beauty bloggers wish lists and thanks to its beautiful colours and gorgeous design, the more we look at it, the more we want it. There’s also a unicorn horn version which is well worth checking out too. And if you love the product but can’t quite justify the price tag, there are more budget offerings out there too. Just remember, you get what you pay for. The perfect solution for quick and easy nail art, these MoYou London fairy tale stamping plates are just fabulous! With dreamy designs across a choice of fairy tale inspired plates, you can create gorgeous designs for that magical touch. Also available in a set with beautiful princessy pastel colours, there’s pretty much nothing not to love. We’re always going to love our themed beauty products, so here’s hoping for many more collaborations to come!